← Holy Flying Vampires, Y’all! The bugs are big in Texas. He-heh. 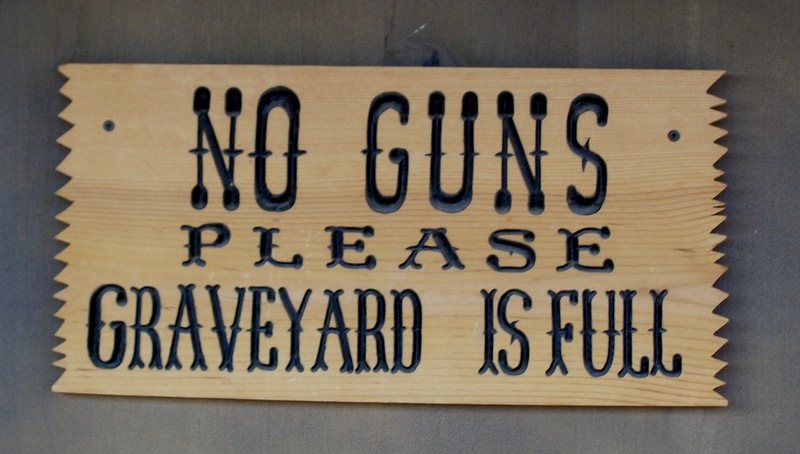 I need a sign like this for my rig. 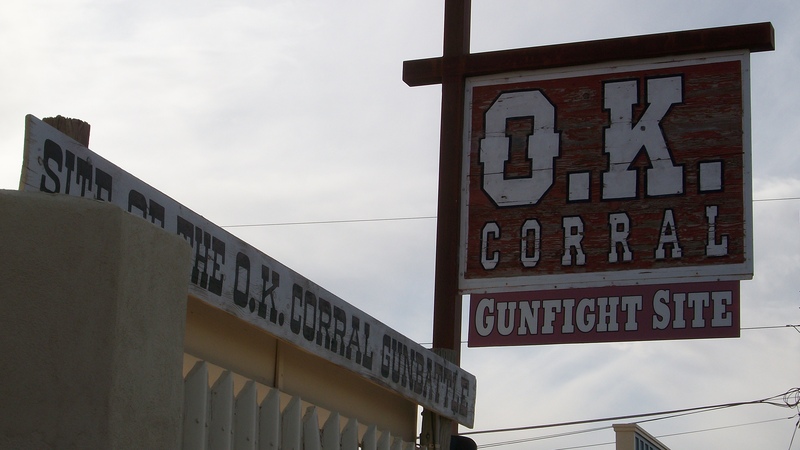 On my way to Texas, I stopped in Tombstone, Arizona, home of the infamous OK Corral. No longer the dangerous, wild western town for which it’s so well known, it has become an off-the-beaten-path tourist trap stop. 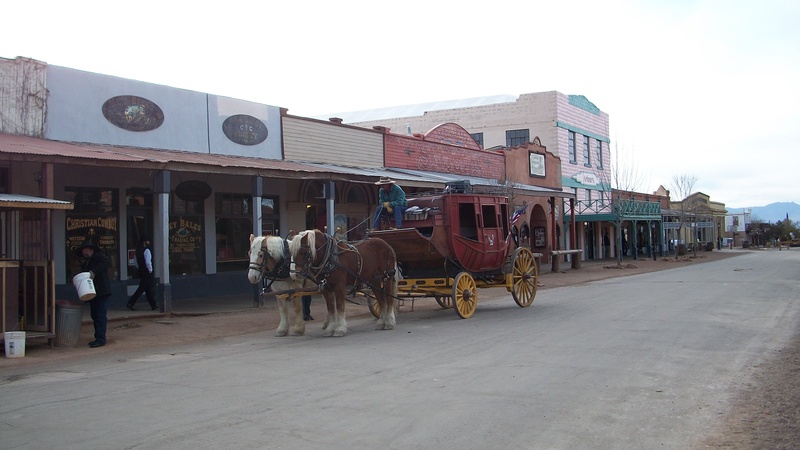 Downtown Tombstone, Arizona… seems a little quiet. One vendor seemed hell-bent on getting me to join the ghost tour. Even the vendors in Mexico were less aggressive – and that’s saying something. 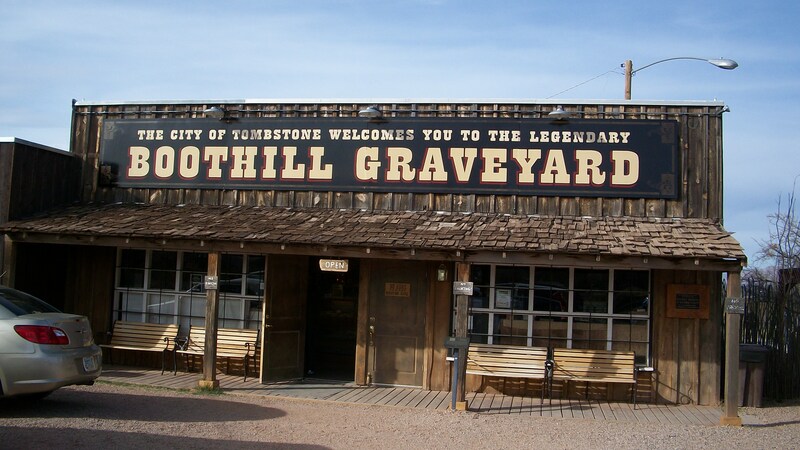 Boothill Graveyard souvenir shop, fulfilling your tourist needs. Vendors in most of the other stores (not pictured here) seemed burnt-out. Compared to my very pleasant experiences with the sales people in every other town I visited in Arizona, this was a bit of a surprise. I heard that most of these graves were “for show”, but a couple were fenced-off like they might actually be the grave of someone famous. The one below, of Frank Bowles, may be real. 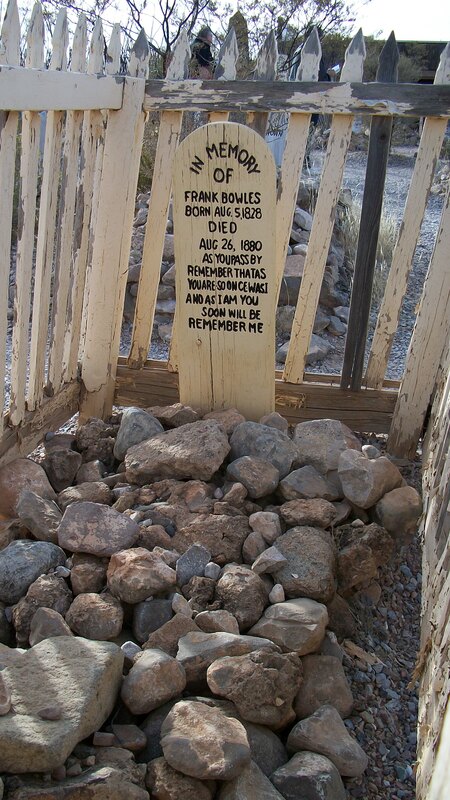 This Boothill Graves website lists the graves and information on some of them. Not sure if this guy was famous or for show, but he was fenced in. I assume his grave is fenced in only because it’s real. It’s not like he’s going anywhere. The rocks are good for holding down zombies, but not for long. It’s more like a delay tactic. And that’s your history lesson for today. 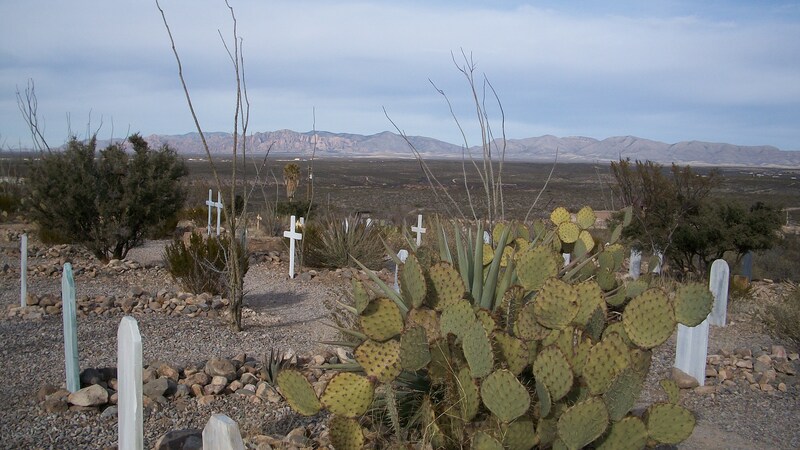 love love love that boothill graveyard shot. What’s up, Girlfriend? I miss your posts! Wow, such a desolate graveyard. Cemeteries should have big trees! The area was odd, and not what I expected, not that I really know what I expected. Maybe more people and activity.